Deadline: 30 June 2019. 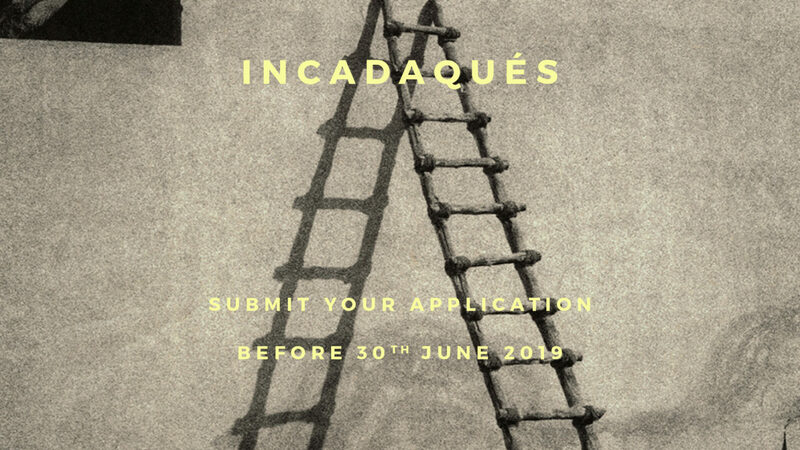 WE INVITE PHOTOGRAPHERS TO SUBMIT PROJECTS THAT COULD BE EXHIBITED DURING THE NEXT EDITION OF THE INTERNATIONAL PHOTO FESTIVAL INCADAQUÉS 2019. APPLICATION FEE IS 20€/PERSON AND IS PAYABLE ONLINE. exhibition expenses (prints), accommodation during the opening weekend and transportation will be covered by the festival FOR THE WINNER OF THE OPEN CALL. THE RUNNER-UP WILL BE GIVEN A VIP PASS (ONE) IF THEY WISH TO ATTEND THE FESTIVAL.